Katharina Jourdan, born 1986, studied Graphic Design in Hildesheim and in Menomonie, USA. 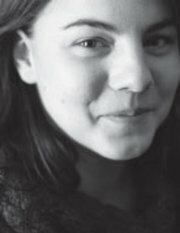 She works as a freelance illustrator and communication designer. In addition to her job she is involved with a network named “Design und People”.